Christina Eldridge, Outpatient Pharmacy Manager at the Alaska Native Medical Center, received the Distinguished Alaskan Pharmacist Award. 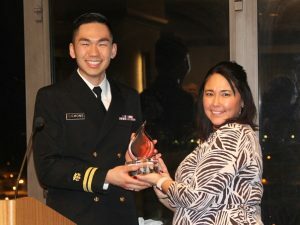 This award recognizes a pharmacist who has worked in Alaska for over ten years, devoted their career to supporting the profession of pharmacy and the community in which they live, and served as a role model for younger pharmacists. Annette Nelson, a Pharmacy Technician at the Annette Island Service Unit in Metlakatla, received the Pharmacy Technician Award. This award recognizes a pharmacy technician currently employed in an Alaskan pharmacy who has demonstrated outstanding service both in their profession and community. Christopher Chong, a clinical pharmacist integrated into the primary care teams of the Valley Native Primary Care Clinic, received the Distinguished Young Pharmacist Award. This award is presented annually by Pharmacists Mutual to a pharmacist who received an entry degree in pharmacy less than ten years ago in retail, institutional, managed care or consulting pharmacy, and who has actively participated in national pharmacy associations, professional programs, state association activities and/or community service. 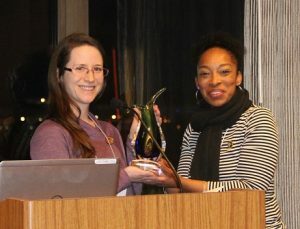 Norton Sound Health Corporation received the Excellence in Innovation Award (accepted by Kathryn Sawyer). This award, coordinated by the National Alliance of State Pharmacy Associations and generously sponsored by Upsher-Smith Laboratories, Inc., recognizes pharmacists who meet the challenge of providing quality, cost effective care in a rapidly changing health care environment with creative new solutions. Aimee Young, Clinical Pharmacist, Inpatient Pain Service with the Alaska Native Medical Center, received the Generation RX Award. 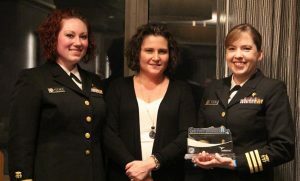 This award recognizes pharmacists in Alaska for their work in the prevention of prescription drug abuse and their efforts to raise awareness of this serious public health problem. View archive of past award winners.